I'm not a fan of nuts in desserts, but when my roommate Natalie asked me to make her these for our giant holiday party this weekend, I said yes. Then she told me she doesn't like nuts in desserts either, and I changed my yes to an emphatic yes. So it's time to try a new chocolate recipe. 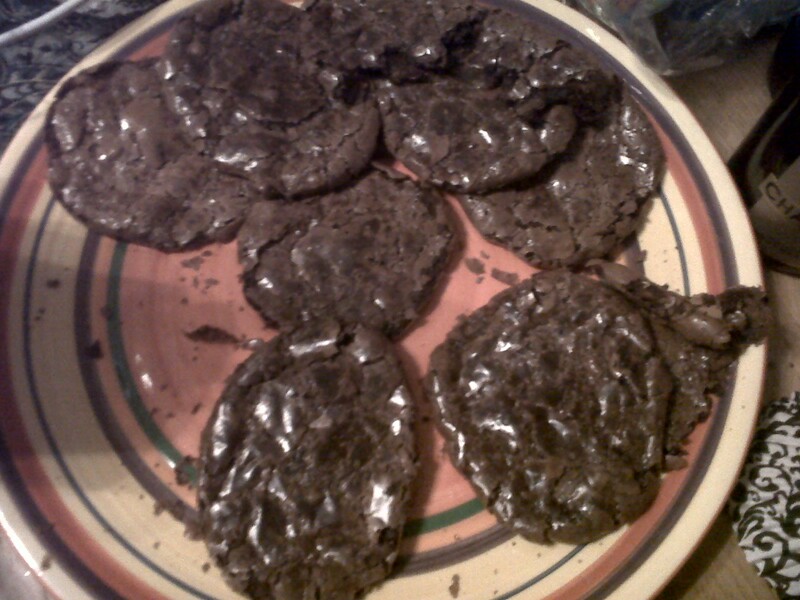 Don't be confused by how not-cookie-like the dough is, or how not-cookie-like the result is. Regardless, Natalie and everyone else at my place last weekend love them! It's pretty much a merengue gone wrong, since you aren't aerating the egg whites, so yeah, I think I'm going to call these Chocolate Merengue Cookies. 1. Preheat oven to 320 Degrees Fahrenheit and line two baking sheets with parchment paper. Grease the parchment with cooking spray or butter. 2. In a large bowl, whisk sugar, cocoa powder and salt. Slowly add the egg whits and vanilla while whisking, mixing just until batter is moistened. Once the batter starts turning a little stiff, you're done. 3. Spoon batter onto baking sheets (should make about 24 cookies). 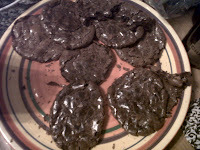 Bake at 320 for 14-16 minutes, until the tops are glossy and lightly cracked, like a shiny old sidewalk. If it looks like the cookies aren't baking evenly, swap the cookie sheets' oven positioning halfway through baking. 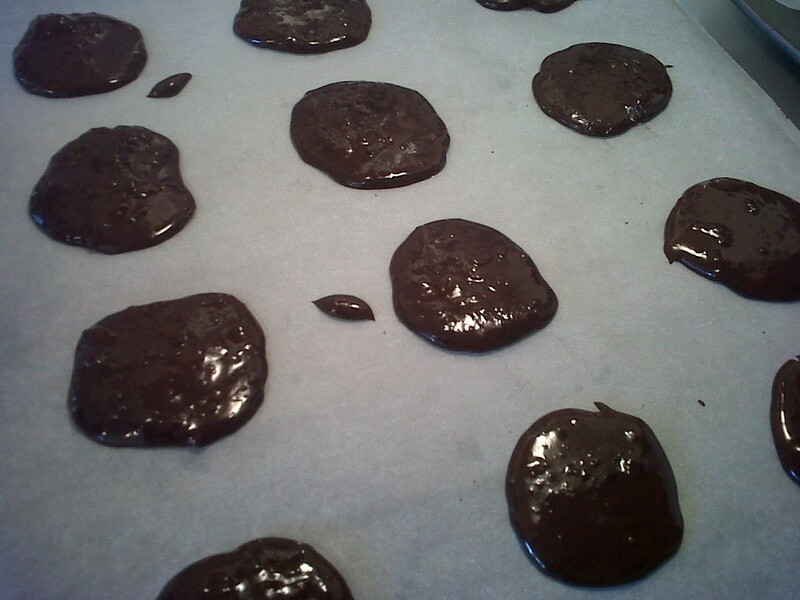 When finished, slide the parchment paper (with the cookies on top) onto wire racks to cool. Let cookies cool completely before removing from parchment paper.